The 2018 Sanlam Handmade Contemporary Fair (SHmC) held an exclusive preview at Houtlander's studio at 99 Juta in Braamfontein on Wednesday, 12 September, where media were given a taste of the best of artisanal design, food and wine to be expected of this exceptionally well-curated annual fair. The 9th edition celebrates the artisans who have mastered the art of turning raw materials into meaning, ‘a return to making’. The SHmC hopes to share the journey of how products are made and stories told through their craftsmanship, featuring 120 exhibitors, with 43 exhibiting for the first time. 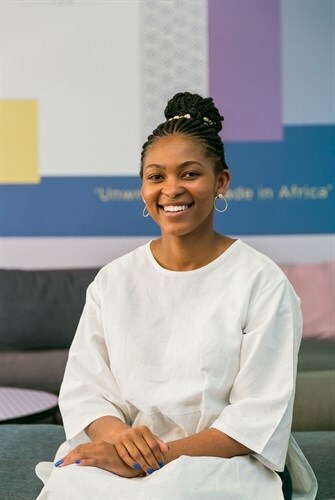 Fair curator Cassandra Twala at founding company ArtLogic says, “We feature both emerging and established local fashion, lifestyle and homeware brands, top SA chefs, high-end wine labels, microbreweries and speciality foods. It’s a great opportunity to be involved in this fair as there is really nothing like it in South Africa. A few years ago, I wouldn’t have guessed I would be in this position, but it has grown me tremendously and I continuously aim to add value. Tell us what this entails (your role as curator). My role at Artlogic involves a lot more than curation. It’s a mixture of curation, creative directing, project management, as well as building and nurturing many relationships. Like any other career, daunting at times, but ultimately exhilarating. I love what I do. On your website you say that you don’t have a ‘title’ so to speak, but that you do things with intention and love. How are you applying this principle to your curation of the fair? I think titles that we attach to ourselves or those that society enforces are often limiting. I try by all means to act meaningfully in my ideas and decisions when working on the fair and operate from a place of love. Working with really passionate people and small businesses don’t give you a choice, but to operate from a place of passion truly affects how you put together an event like this. I love crafting a unique experience each year that can be enjoyed by everyone who attends the fair. How do you go about sourcing or approaching continent-wide ‘makers’ / exhibitors? What does the selection process entail? Locally, it’s really about being tuned into the design, food and wine industries. Trying new restaurants, meeting designers and being interested and invested in what local brands are doing. Further, into the continent, it’s a lot of research and connecting with the right people. We work with a guest curator to select the artisans outside of South Africa. We collaborate with people who have a wealth of knowledge and are authentically in tune with what is happening on the continent. More travel in Africa is on the horizon. Why do you believe it’s important to feature both emerging and established businesses? Because the established businesses were once emerging. There are some brands like Pichulik, Mungo and Father Coffee that have become household names, that have been coming to the fair for more than five years. Through following the trajectory of their businesses, you start to understand why this platform exists. SHmC creates access to the right audiences, for both emerging and established businesses, which in turn helps to grow them. Personally, what are you most excited about with regard to this year’s Fair and why? I’m excited about the new layout. Visitors who have been coming to SHmC for a while are in for a surprise, as we’ve put in a lot of effort to craft new experiences and spaces within the fair. In line with our theme: 'a return to making', we’ve introduced a new special project titled: ‘Makers Corner’, which has made a number of workshops available for the public to book. Ring making, weaving and ceramic. Lastly, ‘Well Made in Africa’ is once again a highlight that invites five exhibitors from the rest of the continent to join us at SHmC. The fair takes place 12-14 October 2018 at Hyde Park Corner’s rooftop. 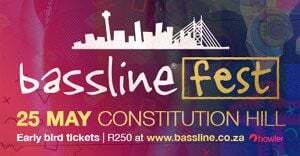 Pre-sale tickets are available online at www.sanlamhmc.co.za for R130 each or at the door for R150 (kids under 12 enter free). It is open on Friday, 12 October from 12pm to 9pm; on Saturday, 13 October from 10am to 9pm; and on Sunday, 14 October from 10am to 4pm.